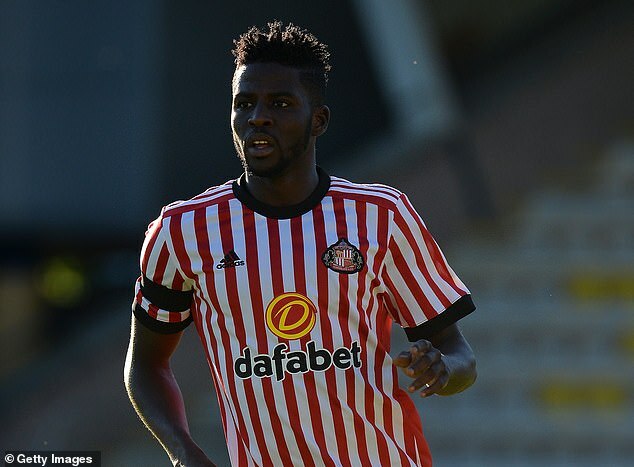 Sunderland have officially parted company with defender Papy Djilobodji, the League One club have confirmed. The Black Cats served notice on September 12 to terminate Djilobodji’s contract after he reported for training several weeks late and ‘comprehensively failed’ a fitness test. The two parties have now agreed a separation deal, confirmed in a brief statement on the club’s website on Wednesday. The club previously reached a deal last month with midfielder Didier Ndong, who was also AWOL from pre-season training after Sunderland’s second successive relegation. The club will be due compensation if and when Ndong signs for a new club. Djilobodji made only 24 first-team appearances for the Black Cats following his £8million move from Chelsea in 2016, and spent last season on loan at Dijon. Ndong signed for a club-record £13.6m in 2016 but failed to establish himself either at the Stadium of Light or during a loan spell at Watford.